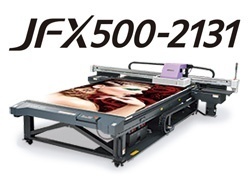 JFX500-2131 | Product | MIMAKI SINGAPORE PTE. LTD. This combination of "Speed" and "High quality" are essential for large format printers. Maximum print speed of 60m2/h color printing.